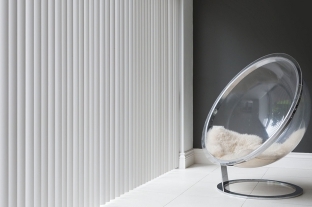 Patio door vertical window blinds are a great to way brighten up any window or door, and can also offer effective warmth, privacy and shade at the same time. Bargain Blinds made to measure vertical patio door blinds are available in plenty of designs and finishes to suit your home style. 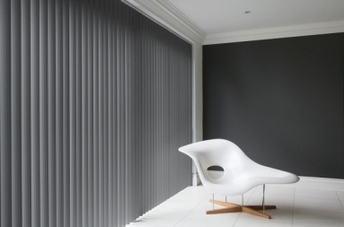 Patio door vertical blinds are a great addition to any window or door. For durability, warmth, comfort and privacy Bargain Blinds patio door vertical blinds are a cost effective door or window blind solution. Woven fabric vertical patio door blinds with woven textural yarns, are designed to give added depth which can add extra warmth to your room. 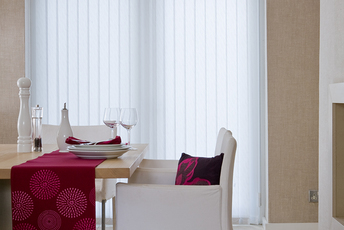 Bargain Blinds Devon offer a huge range of fabric vertical blinds. Call Bargain Blinds today for a free no obligation quote. Bargain Blinds offer a range of elegant, and simplistic patio door vertical blind designs, which are to our available to our customers at realistic prices. Bargain Blinds Devon are never beaten on price or quality! 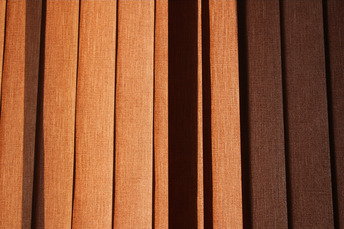 Our PVC collection can provide the perfect solution for a durable and practical window blind. Bargain Blinds supply and fit a wide range of finishes, contours and perforations, offering rigid PVC vertical patio door blinds that are stylish as they are functional.